Every school except Liberty High in Frisco had an increase in the percentage of its economically disadvantaged population. O.D. Wyatt in Fort Worth experienced the most dramatic spike between 1999 and 2004. Kimball High has the highest percentage of economically disadvantaged students. Kimball High in Dallas had an overwhelming African-American majority in 1994. More Hispanic students moved in and now represent the majority, making up 61 percent of the student population in 2014. From 1994 to 2014, the African American population decreased from 81 percent to just under 40 percent. Data wasn’t available for the Asian student population in 1994 and 1999. In the early ’90s, Duncanville was mostly white. Both the African American and Hispanic student populations grew strongly over two decades. 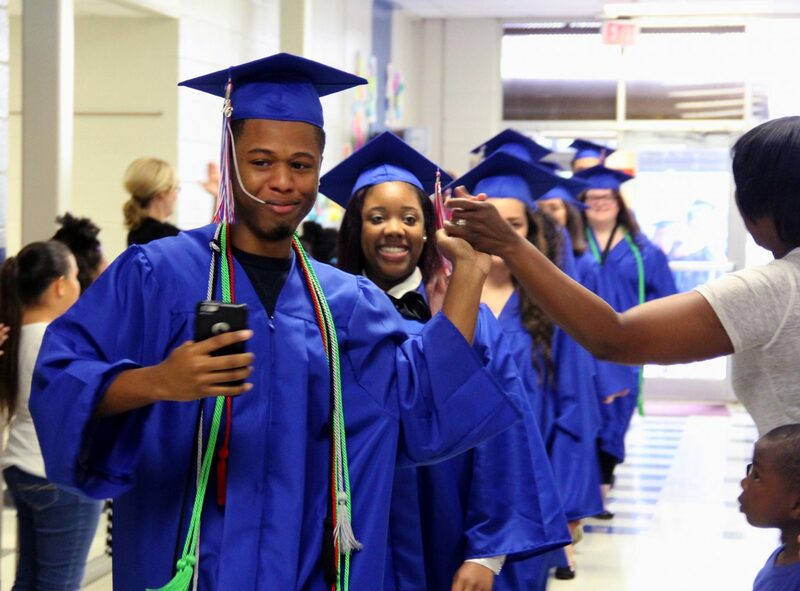 In 2014, 45 percent of students were African American and 46 percent were Hispanic. Data wasn’t available for the Asian student population in 1994 and 1999. Liberty High is the youngest school of the four in the series. It opened in 2006, so data was available only for 2009 and 2014. In that five-year period, the African American, Hispanic and white student populations decreased. The Asian population, however, grew by nine percentage points — from 14 percent in 2009 to nearly a quarter of the student body in 2014. Liberty is also the only school that didn’t have an increase in the percentage of students that were economically disadvantaged. Of the four schools, O.D. Wyatt had the largest African-American population — 90 percent — in 1994. That gradually dropped to 40 percent by 2014 as more Hispanic students entered the school, making up 48 percent of the population by 2014. The school also has the second-highest Asian population among the four schools (behind Liberty in Frisco). Data wasn’t available for the Asian student population in 1994 and 1999.